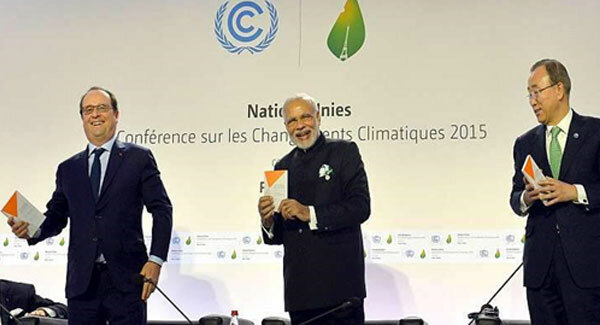 India is well on track to achieve two of its three Paris targets ahead of the 2030 deadline, according to the leaked draft of the report that the Indian government is set to submit to the United Nations (UN) by December this year. Consider this: India has to reduce greenhouse gas emissions by 33-35% below 2005 levels by 2030. It had already reduced emissions by 21% below 2005 by 2014. Secondly, the Accord specifies that 40% of India’s power capacity will be from non-fossil fuels by 2030. It reached 35% of this target by March 2018. India is, however, not on track to create an additional carbon sink of 2.5 -3 billion tonnes of CO2 equivalent through forest and tree cover by 2030. The 30th Meeting of Parties to Montreal Protocol concluded in Quito, Ecuador last friday (9th November) with governments promising to crack down on illicit use of banned pollutant, Chlorofluorocarbon (CFC). Countries have now adopted a decision that request for information to be provided on atmospheric CFC-11 levels and potential source ahead of MOP meetings. The illegal use of CFC-11 was first brought to light by scientists in their letter to Nature highlighting high unexplained CFC-11 emissions. On further investigation by EIA, the foam insulation sector in China was identified as the root cause for illegal production and use of CFC-11. A new report by the Rocky Mountain Institute (RMI) has warned that the number of air conditioning units across the world will grow by 5 times between now and 2050. This will be driven by a warming planet, economic growth in the developing world and its rapid urbanisation. Meanwhile India has unveiled the world’s first National Cooling Plan – to reduce the energy intensity of cooling by 25-40% by 2037. The draft plan will also target a transition to low global warming potential (GWP) refrigerants. Additionally the Department of Science and Technology (DST) has announced a $3 million Global Cooling Prize to spur innovation in promoting higher efficiency residential cooling technologies. Many European countries may be phasing out nuclear power citing its risks, but India has declared nuclear energy as “important to address concerns about climate change.” India wants the UN to back efforts to promote nuclear power’s public acceptance, as it plans to more than treble its nuclear energy to 22,480 MW by 2031.